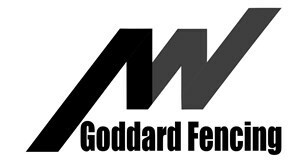 A W Goddard Fencing Ltd is a small family run business who specialises in residential and commercial fencing. With bases near Sudbury and Ipswich, we are well positioned for enquiries in the Suffolk, North and East Essex region. Our experience in residential and commercial fencing, spans over 50 years. Over these years, the name ‘Goddard’ has become well known for unparalleled workmanship and because of this, a lot of our work is with repeat customers and recommendations. Customer satisfaction is of the utmost importance. We are primarily fencing contractors who pride ourselves with our workmanship. We feel that we shine above inferior companies offering the same service. Sudbury, Ipswich, Bury St Edmunds, Cavendish, Long Melford, Lavenham, Stowmarket, Hadleigh, Halstead, Haverhill, Woodbridge, Colchester, Braintree, Felixstowe.